THAT ARE SURE TO IMPRESS! HAVE YOU SEEN OUR OFFICE YET? CIP OFFICE TECHNOLOGY IS THE INDUSTRY LEADER FOR WIDE-FORMAT PRINTING, MFP COPIERS, SMALL FORMAT MFP, AND IMAGING SOLUTIONS. Reach out to one of our product specialists to setup a free consult either by phone or in person and we'll show you how to maximize your total cost of ownership. While you're here, don't forget to stay in the know by joining newsletter. OK, SO WHY CIP OFFICE TECHNOLOGY? Get easy access to our professional staff, timely ticket responses, post-sales training, a predictive service model, and a customer-first attitude. Our experience has been building since 1981 as we strive to keep ahead of the curve for all print, maintenance, and service needs. Does it seem like things are getting more and more complicated? Not to worry, we can at least help make your print world simple. Our training practices allow you to quickly optimize the efficiencies of your new printer, thereby maximizing performance and productivity. Our service technicians are on site within 2 hours and fix it right the first time. We customer survey our customers after every service call and the results are posted live here. We love to showcase some of the latest wide-format printers, MFP copiers, and imaging solutions out there. Here are a few of our favourites. Unleash the potential of Sharp’s advanced technology with the new MX-7040N High-Speed Colour Document Systems. Built on the latest Sharp OSA® development platform, the MX-7040N make integration with network applications and cloud services easier than ever. 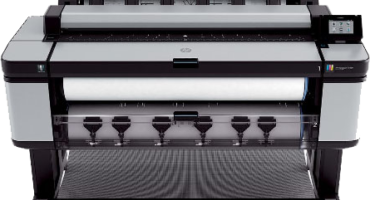 Turn orders in record time with the fastest 60-inch production printer for graphics, the HP DesignJet Z6600 Printer. Exceptional color and black-and-white prints on many substrates. Count on advanced color management features backed by HP reliability and easy operation. 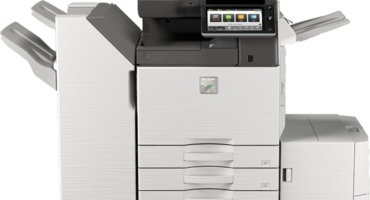 Unleash the potential of Sharp’s advanced technology with the MX-6240N High-Speed Colour Document Systems. The MX-6240N combines a flexible, modular design with robust paper handling and productive output capabilities that can streamline your document workflow like never before. Perfect for engineers, architects, and construction professionals... we do it all. We are fully equipped to handle all types of printing including small and large format, banner printing, signage, and all other specialty print jobs. Have a big print job? Let us quote you on the job first. Very few print shops have the equipment and expertise we do. Use our easy upload form to get us your print jobs. WHAT'S ALL THIS COPIER SECURITY BUSINESS? Copier, printer, and network security are a hot topic. Time to get ahead of the curve. 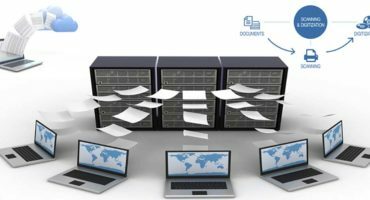 In today’s tech-heavy office environments, security and protection of your critical information and data are paramount. We'll keep your photocopiers and MFP’s safe from vulnerabilities with Sharp Security. As networked devices get more and more integrated into our daily work lives, so too does the need for enhanced security. From computers, to laptops, and now our photocopiers and MFP devices, everything is at risk and we need to protect our data. Check out the latest video from Sharp. A few extras that you might just be interested in. organization, church, or community event. all the paper products that we sell each month. Our partners are part of what makes us so great. We pride ourselves in providing industry leading customer service to all of our customers. Here are some words directly from them. Lorna Lawson, Crescent Point Energy Corp.
Our Calgary staff have been calling us to say how happy they are with the new printer. They also mentioned that the old was left behind and are unsure about what to do with it. I don’t know if we have to be concerned about sensitive data in that machine or not or if removal of the old equipment was part of our discussion. Please let me know if this is something you can take care of or if we are to look into recycling the old printer. This item arrived at lunchtime - thank you very much for the speedy service!